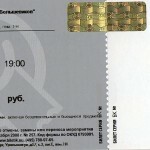 This is what you should call an amazing Roxette ticket. Norwegian gig is sold out. Oh, that looks quite nice! 🙂 I’m only used to the neutral Eventim tickets.